Kelley Blue Book named Honda one of the most awarded brands for 2017. The Accord, Civic and CR-V all contributed to the list of accolades, but let’s have a closer look at the CR-V’s award-winning features. When it comes time to start looking for a new vehicle, you want something that everyone can love. The 2017 or the 2018 Honda CR-V is exactly that vehicle with its roomy interior and rugged, adventurous streak. It was included in the top 10 Best Family Car awards from Kelley Blue Book. 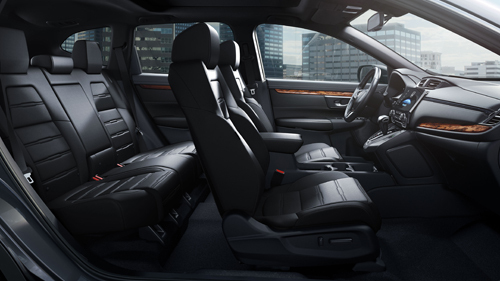 What better way to get the kids back to school than buckled into the comfortable available leather-trimmed seats? There is plenty of elbow room for everyone. For those in the front seats, the standard equipped heated front seats will make a cold morning drive that much easier on the body. Heated rear seats are available. If you choose the leather package, you also get a heated steering wheel wrapped in the softest leather for maximum comfort. Honda knows that not everyone enjoys the same temperature, so they added dual-climate zone controls that allow you and your passenger to choose your own temperature, making both of you comfortable for a more enjoyable trip. The CR-V makes travelling with all of your gear very easy. Not only is it spacious behind the rear seats, but if you need more room, you can fold down the rear seats and open up a flat cargo space. There is enough room for a bicycle in there. The rear seats are a 60/40 split, so can you expand the cargo area without losing your entire passenger seating: perfect for hockey sticks or golf bags. The available hands-free power tailgate gives you easy access to the cargo area even if you have your hands full. AutoGuide.com gave the 2017 Utility Vehicle of the Year award to the CR-V because of the cargo space, its tech features and its fuel efficiency. AutoGuide.com said the CR-V is ahead of the rest of the SUVs when it comes to practicality, value and ease of use. You expect Honda to win safety awards, and the 2017 CR-V has the highest rating available from the Insurance Institute for Highway Safety (IIHS). The IIHS gave the CR-V the Mid-sized SUV Top Safety Pick+ when it is equipped with Honda Sensing™ and LED headlights. It scored a “superior” rating in front crash prevention, thanks to the Honda Sensing™ suite of safety features, which raised its already high score in the IIHS crashworthiness tests. The Honda Sensing™ suite consists of intuitive technology that makes you a better driver. The Forward Collison Warning System works with the Collison Mitigation Braking System™ (CMBS) to scan the area in front of you and send an alert if it detects anything in your path. Should you ignore this alert, the CMBS will apply the brakes firmly to avoid the collision. This is the system that gave the CR-V its “superior” rating from the IIHS in the front crash prevention category. Of course, there is a host of other equally sophisticated safety features installed on the CR-V that protect you and your family. In addition to safety, the 2017 or 2018 Honda CR-V is loaded with the latest high-tech toys that make it fun to drive. Navigation systems and entertainment options keep you on course and amused the entire trip. Stop by and see us for a test drive today. 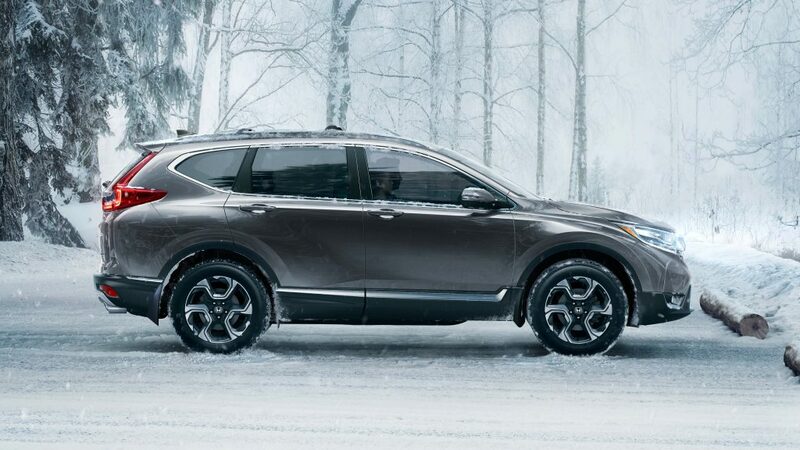 We will show you all of the ways that the award-winning Honda CR-V can enhance your family fun.